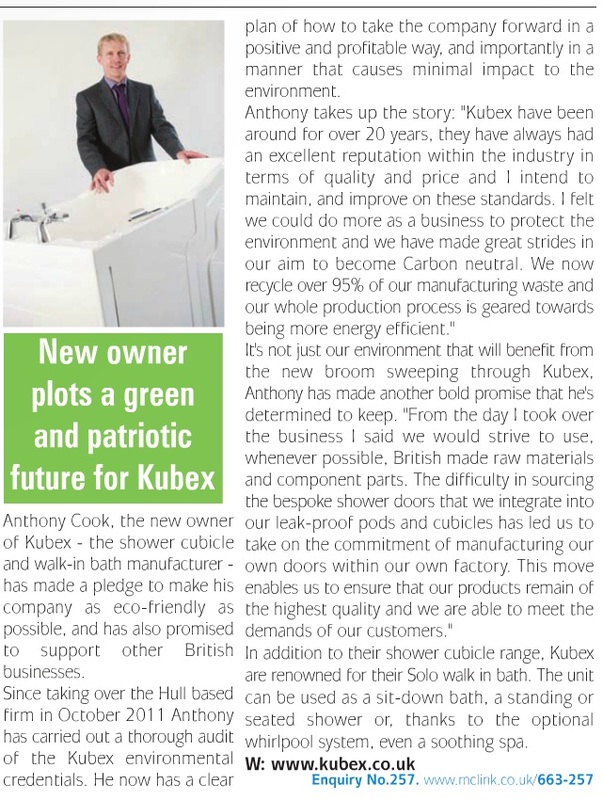 The August edition of DABS magazine reported on Kubex’s commitment for environmentally friendly manufacturing practices and our pride in using British raw materials. To view the article click on the thumbnail above and go to page 31, or alternatively view the screenshot by clicking here. 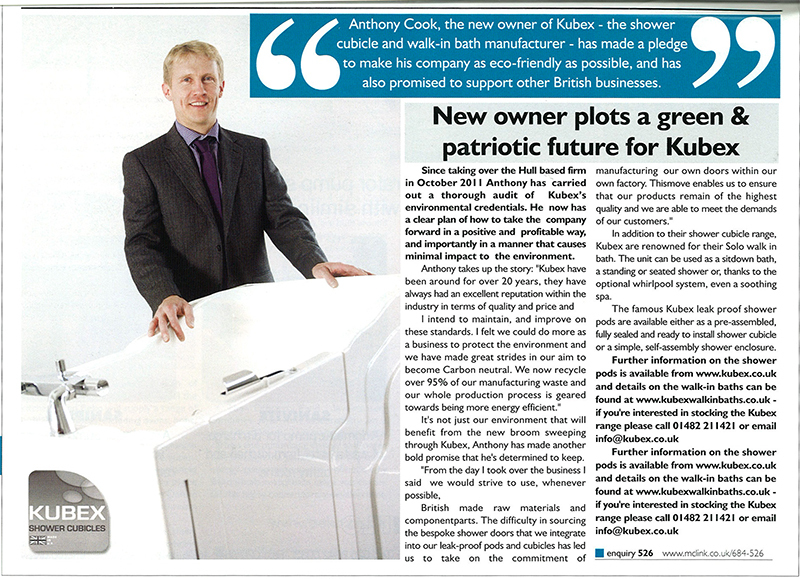 Building News magazine printed a feature on Kubex in July’s edition. The article highlighted owner Anthony Cook’s pledge to be more energy efficient and eco-friendly, and the company’s determination to support the British manufacturing industry. 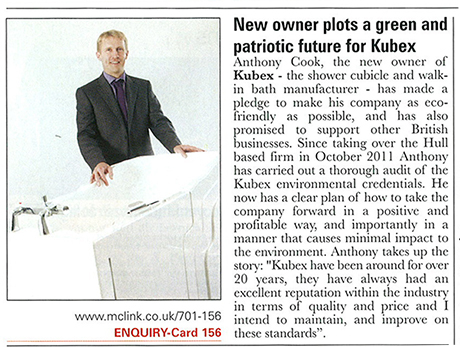 Kubex appeared in July 2012’s edition of The Builder magazine. Please click on the thumbnail above to read the article which expands on our pro-environment recycling and manufacturing policies. Kubex proudly supplied a national modular building company with over 100 Kingston Bifold Shower Cubicles. The Kingston Bifold offered the ideal solution when a national modular building company required a leak-proof shower cubicle for installation in the olympic village. The Bifold’s unique design and rigid composition offered reassuring workmanship and product longevity and because the Kingston comes pre-assembled, they were installed and ready to use within minutes. 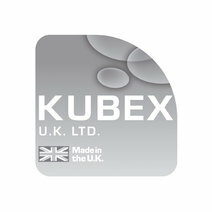 Kubex proudly manufacturing in Great Britain!